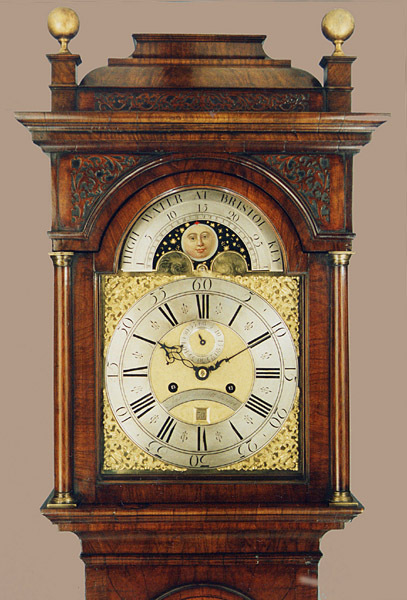 Andrew Hewlett Longcase Walnut Circa 1740 - Height 89in. This Longcase Walnut Archive's Maker - Andrew Hewlett recorded 1741. Superb long door bookmatched & quarter matched figured walnut case with shallow caddy top. 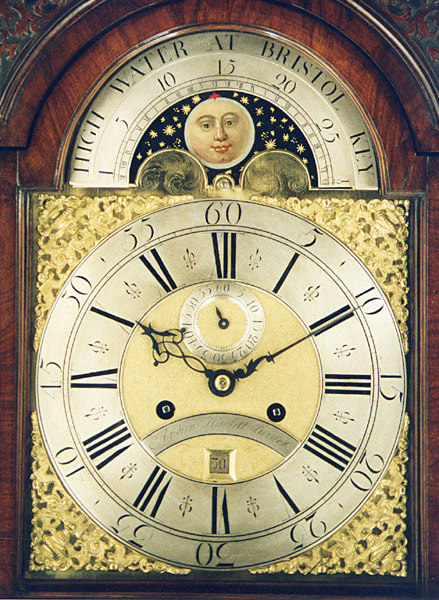 12" breakarch brass dial, moonphases to arch & high water at Bristol key (sic) matted & engraved dial centre. High quality 5 pillar movement with hourly (rack) striking.